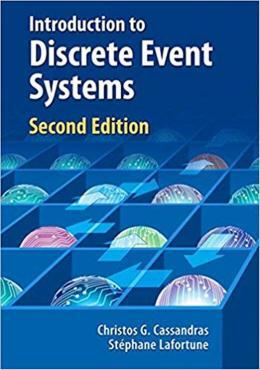 Introduction to Discrete Event Systems is a comprehensive introduction to the field of discrete event systems, offering a breadth of coverage that makes the material accessible to readers of varied backgrounds. The book emphasizes a unified modelingframework that transcends specific application areas, linking the following topics in a coherent manner: language and automata theory, supervisory control, Petri net theory, Markov chains and queuing theory, discrete-event simulation, and concurrent estimation techniques. This edition includes recent research results pertaining to the diagnosis of discrete event systems, decentralized supervisory control, and interval-based timed automata and hybrid automata models.